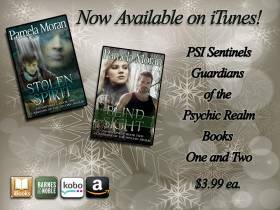 Gavin Dunbar, liaison between the PSI and the government, is a low-level psychic himself. A man of the present who believes the future is too nebulous, too fluid - that it can't be trusted. His reasons are mired deep in a past he has no desire to examine. After all, in his world, having a soul-mate doesn't equate to happy-ever-after. Tragedy has brought Calea Fontaine to a crossroads and has her reassessing her future without the man she loves. 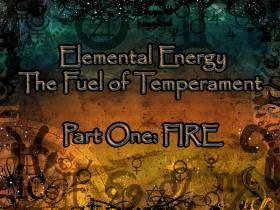 A seer from a long line of seers, Calea knows, firsthand, that while Fate might try to guide a person along a path, Free Will has a way of trumping Destiny. Along the storm ravaged Oregon coast, a predator stalks Calea with an obsession born of a dark need, an overwhelming need to control and possess at any cost. The only obstacle is Gavin Dunbar. 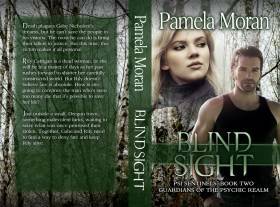 If you'd like to join me, I'm over on the Paranormal Book Club Facebook group this week where I'm giving away an ebook copy of Blind Sight to five recipients who leave a comment over there on the post for Blind Sight (and 'Hi' is a comment! Facebook has nothing to do with this giveaway - it's all on me)! 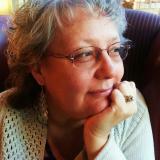 To post, you will have to join the group but it's fun and all about Paranormal reads. 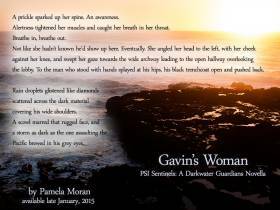 In other news, I've finished my edits for Gavin's Woman and the manuscript will be heading to my editorial team after Christmas. The story should be available mid-January!!! I'm excited about this book and looking forward to showing off the cover .... Stay tuned! 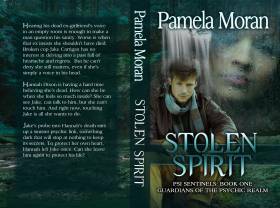 And drop by the Paranormal Book Club and say hello. 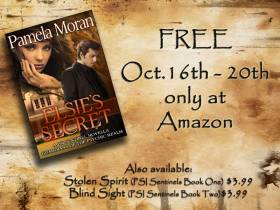 For the first time, ELSIE'S SECRET is free on Amazon. Sebastian Alexander is good at keeping secrets. Turns out, Elsie's better. 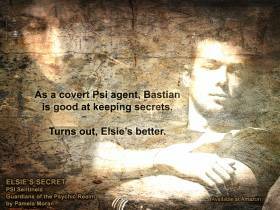 A covert PSI agent, Sebastian once let his secrets come between him and the woman he still loves. Finding her prowling around where she doesn't belong turns his simple reconnaissance into a rescue mission threatening to blow everything apart. Is he willing to risk his secrets to save her life? Elsie Quartermaine has one goal. 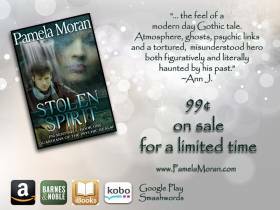 Save her nephew from a sadistic kidnapper. Sebastian is the one man who can help her. But divulging her secret puts more than her life in jeopardy. Can she trust Sebastian with her nephew’s life? Her own? What about her heart? As dawn creeps over the horizon, can they find enough trust in each other to stay alive? Hello! 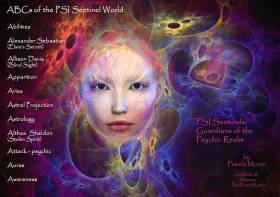 Welcome to ABCs of the Psychic World where we talk about all things Psychic, both in the PSI Realm and in the 'real realm'! AURAS seem to be a good place to start. One thought is that they are, at the basic level, a field of subtle energy emanating from a person or living object, like a flower or a tree, or even inanimate objects. Have you ever seen a hazy white glow around something you're staring at? Or that beautiful, vibrant blue glow around flowers in a flower bed? One of the easiest ways to see an aura is to stare at an object - holding your hand out, fingers spread, will do - and let your vision soften and shift out of focus. Notice that glow of white, nearly translucent energy surrounding it? That's the first layer - the one closest to the surface. Seeing other layers and colors can take more practice. Your emotions, thoughts, behavior and health all affect your aura's color, strength and vibrancy. Imbalances, like those of Dr. Nicholas Swift in ELSIE'S SECRET, show up, sometimes as dark spots, holes or even dark or muddy layers. Maybe Dr. Swift should have learned to read auras and studied his own! 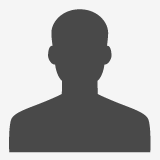 Even if you're not a visual type of person or don't want to take the time to stretch that visual/psychic muscle, think about a specific person -- doesn't matter who and we don't need to know names ;o) -- are there certain colors you associate with that person? Not necessarily a color they wear a lot, but a color that resonates to them in your mind. What is that color? What do you think it represents about them? I thought those colors around people were my new glasses going haywire...maybe they are really auras!